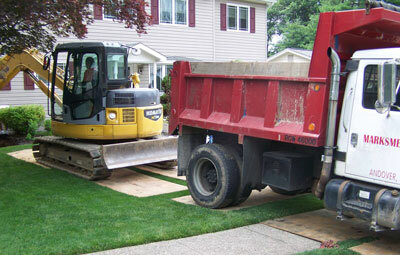 Marksmen Enterprises, LLC, is a New Jersey State Licensed Environmental Contracting and Consulting Firm. With over 68 years combined experience in the environmental field, we take great pleasure in serving residential and commercial clients with their oil tank removal, installation and location needs throughout New Jersey year-round with competitive pricing. Our reliable staff is always available to answer any questions or address any grant, funding, insurance or NJDEP concern. Contact a sales representative to receive a free, no obligation quote. Extremely professional & knowledgeable staff. They left the site just as they found it. They kept me in the loop about permits and pick up! Hands down best customer service, Debbie was great! I would recommend them to anyone! You’ve decided to remove your underground oil tank or replace your current old above ground tank due to its age. You’ve also decided to continue with oil as the fuel to heat your home for several very convincing reasons. Do I have to remove or replace my residential heating oil underground storage tank by a specific deadline? There are no New Jersey Department of Environmental Protection (NJDEP) regulations that require the removal of underground residential heating oil storage tanks that are not leaking. Homeowners should contact their Town to determine if there are any local regulations or ordinances governing the removal and/or replacement of underground residential heating oil storage tanks. Homeowners should be aware that as their underground tank ages, the likelihood that it will leak increases. Tanks that are leaking need to be promptly removed. What type of tank should I install if I remove my underground storage tank? NJDEP does not recommend that tanks be replaced with another underground tank. The main disadvantage of an underground tank is that a leak may go undetected for some time. With an above ground tank, the likelihood of detecting a release before it becomes severe is much greater.